Wordpress restore from backup recovers an entire website or its static and dynamic components. With Handy Backup, you can easily restore Wordpress site from backup with a single, fully automated task! Let us show how to make such task through some quick and simple steps! 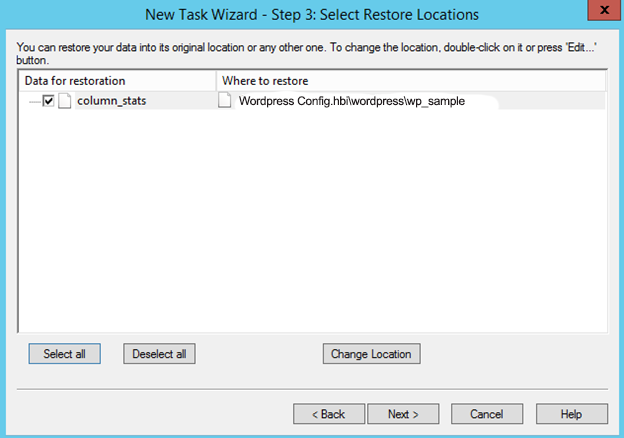 To make a task, you can use a simple and convenient, classic-looking graphical interface (GUI) and a task creation wizard that will guide you over the process of tuning a task up restore Wordpress from backup. You can also easily clone static data and restore Wordpress database to other place, to make a mirror. To restore Wordpress from backup, you can create an automated task that will recover static, dynamic or both types of data. In addition, you can use a convenient manual restoration due to keeping unencrypted Wordpress data in native formats. 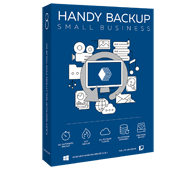 Handy Backup allows fast and convenient recovery of Wordpress backup by using many additional functions including the advanced algorithms such as multi-threading, as well as utilizing built-in decryption, data clone scheduling, notifying users by an email about automatic tasks, etc. The Small Server edition is the best tool to Wordpress automatic backup, because it contains all plug-ins that you can need just out of the box. To restore Wordpress website automatically with a dedicated task, please follow the instruction below. Create a new task in Handy Backup, select a restore task and proceed to the next step. On the Step 2, select a folder in your backup storage that contains Wordpress restore data. Select a file backup.hbi and click “Next” to continue. If you want just to restore Wordpress site from backup, please click “Next” until finishing. If you are planning to move or clone your website, click “Change Location” on the Step 3. In the next dialog, select a new place to restore Wordpress from backup. Click OK.
Then continue creating a task step by step as described in the User Manual. An additional feature of Handy Backup is its ability to save unencrypted, uncompressed files in native formats. 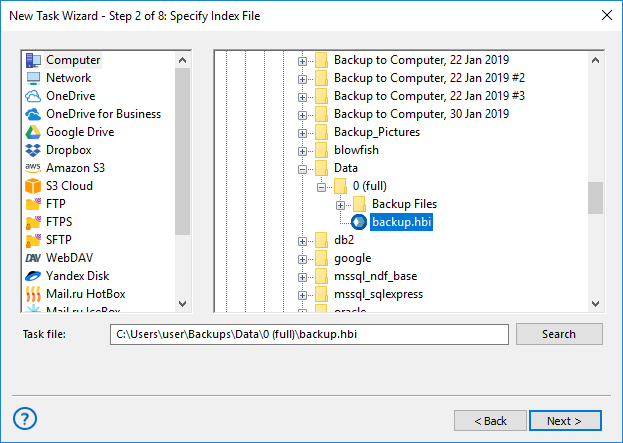 It can greatly simplify Wordpress site backup and restore actions, as you can use any file manager or an SQL console to browse, modify, move or even restore a SQL table manually or single file. One of most principal advantages of dump backup is an ability to change the storage engine type easily for mirrored websites for Wordpress restore in cloning purposes, i.e., changing InnoDB to MyISAM and vice versa. Try Handy Backup as your tool to restore Wordpress database from backup! Get a 30-day free trial version with all plugins and functions!